Not the latest brunch trend, but still cool. Using a pair of tongs, hold the egg in the flame. Cover as much of the egg as you can with black soot. Submerge the egg in a bowl of water. Let it sit until it takes on a silver hue. 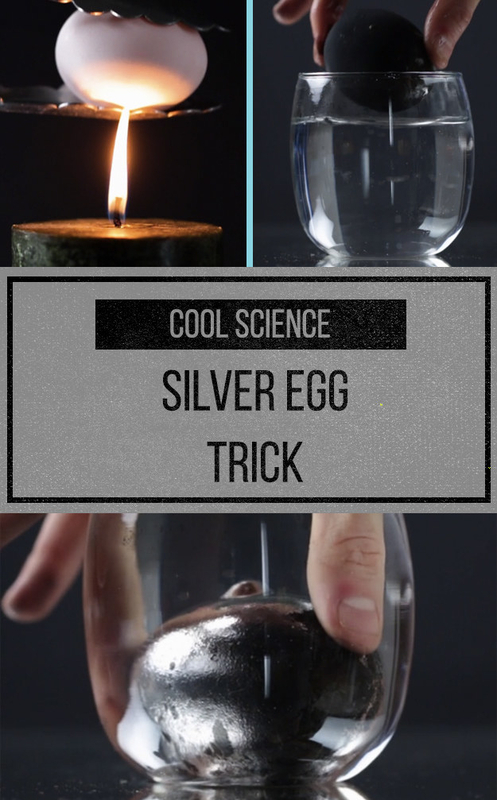 When you remove the egg from the water, it will return to black. Check out the science on KidzSearch.